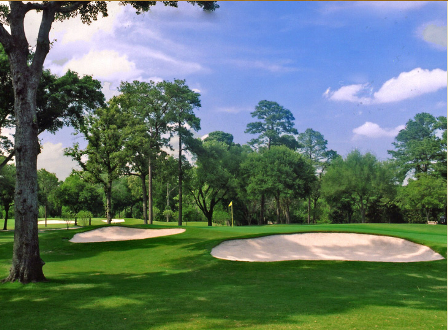 Pine Crest Golf Club, is a Public, 18 hole golf course located in Houston, Texas. 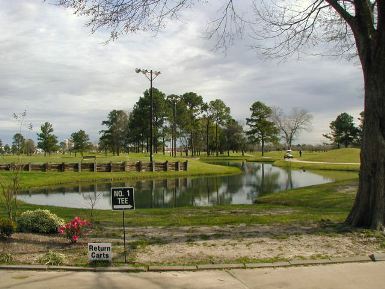 The course first opened for play in 1992. The course was designed by Darryl Witt. Par for the course is 72. From the back tees the course plays to 6,907 yards. From the foward tees the course plays to 5,482 yards. The longest hole on the course is #18, a par-5 that plays to 571 yards. The shortest hole on the course is # 5, a par-3 that plays to 117 yards from the back tees. Watch out for # 4, a 408 yard par-4 challenge and the #1 handicap hole on the course. The easiest hole at Pine Crest Golf Course is # 13, a 395 yard par-4. The terrain is somewhat flat, and there are water hazards coming into play on some holes. 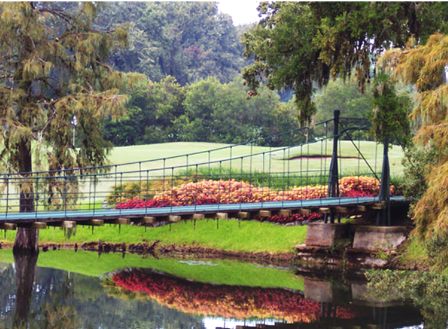 The signature hole is #18, a 571-yard, par 5, requiring a straight tee shot up a narrow fairway bordered by a thick cut of rough, then an approach shot over water to the green. I have played this course at least a hundred times, because it is very near my house, and allows regulars to set their own marching order at daylight! We start at about 6:15 and are generally finished by 10:00. The conditions on this course are generally average to slightly better than any comparable courses in the area. The layout can be very friendly if you keep the ball in the fairway, but a few holes have the ability to punish you severely for a missed shot, particularly off the tee. On several holes you can hit the fairway, yet still be obstructed by the irregular treelines and the occasional isolated large tree. Water is dangerously close on a number of holes and can take the driver out of you hands. 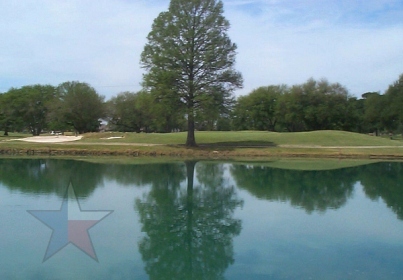 On number nine, for example, a well struck three wood can find the lake that crosses the entire fairway. Don't bother with the driver on this one either. I haven't seen it cleared in almost fifteen years. In short, there are great scores to be had. But if you have a few slips, you can put up mid-eighties before you know what happened. For the price, it's the best to be found. FOR SENIORS THIS COURSE IS ABOUT THE RIGHT DISTANCE AND THE CORRECT CHALANGE. THE PRICE IS VERY REASONABLE AND THE CONDITIONS ARE FAVORABLE. I WOULD STRONGLY RECOMMEND IT TO MY FRIENDS. The only current problem with this course for me is the hardness of the greens. It is very difficult to hit onto or chip onto the greens and make the ball stop. This is a nice course for the money. The greens and fairways were in good shape. It takes about 4.5 hours to play on Saturday morning.